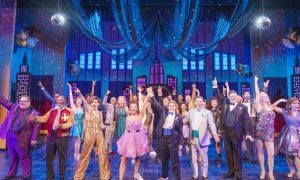 Miguel Jarquin-Moreland is more than a cast member of the US tour of Jersey Boys, he’s an outspoken ambassador for the show. Dance Informa got to talk with this charismatic guy who, more than once, expressed his gratitude for the honor of being the alternate cast for character Frankie Valli and admitted to frequently singing the show’s songs around the house. What is it about this show that elicits such excitement? The well-spoken Miguel willingly shared his thoughts. Here are some highlights of our conversation. 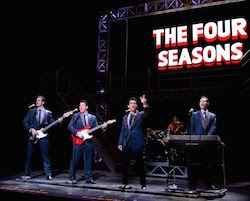 Jersey Boys is a musical biography of the Four Seasons. What is it about this show and this story that keeps the crowds coming? 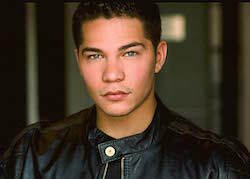 Miguel Jarquin-Moreland, alternate for Frankie Valli in ‘Jersey Boys’. Photo courtesy of Jarquin-Moreland. Who should see this show? What experience can an audience member expect? 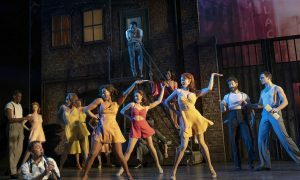 What are some nuances of the look, attitude and sound you needed to learn in order to play the role of Frankie Valli during the 1960s? “The hair and the way these guys dressed and moved, their swagger, established them as a class. You didn’t walk out in your nice jeans and a dress shirt and a flashy pair of sneakers or a hat. If you wanted to impress a woman, you walked out onto the street in a suit. You would wear your hair slicked back. Your hair had to be done in a way that if someone hit your hair, your hair wouldn’t move. It was a different style and way of living. It’s fun playing that kind of brash person living in a dangerous world. I lived in New York for five years so, after living there, I developed a New York accent. When I’m away from New York it’s not really there but when I’m in New York or on stage I talk no other way than the New York style. It’s a different way of life, internally. I think being able to communicate in that kind of dialect is part of the nature of the piece. Do you have a favorite song from the piece? 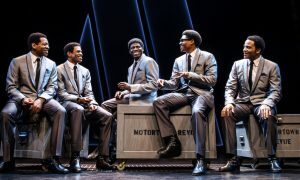 A production photo from the US Tour of ‘Jersey Boys’. Photo by Jeremy Daniel. The show’s guiding themes revolve around how the four main characters persevere by not giving up, not selling out and not forgetting where they came from. How do you personally relate to these values? How’s life on tour? What do you do to keep physically and vocally fit? “It starts with a lot of sleep; you have to get at least 8-9 hours sleep every night. You have to work out everyday and you have to do your vocal exercises. You also can’t eat dairy or bread or something heavy that could possibly alter your voice before going onto stage. What do you do for fun while on tour? Find Jersey Boys at a city near you. Visit www.jerseyboysinfo.com/tour. Photo (top): Drew Seeley, Matthew Dailey, Hayden Milanes and Keith Hines in ‘Jersey Boys’. Photo by Jeremy Daniel.